The partner of a man who admitted inflicting injuries on their one-year-old daughter has been questioned about suspected child cruelty, a court heard today. Prosecutors said the north Antrim woman's phone was seized after photos were discovered on it. New developments in the investigation emerged as her 24-year-old boyfriend was refused bail. The man, who cannot be identified, is accused of squeezing their baby's head while she was crying. The little girl was admitted to the Causeway Hospital in Coleraine with facial bruising in November last year. Medical staff believed her injuries were due to the sustained application of some sort of force to her head. No explanation was given at that stage by either parent. The mother later alleged her partner had been left alone with their daughter for a period of up to 30 minutes, the court heard. When the woman returned the baby was crying and she raised the alarm to claim he had done something to hurt the child. The man was subsequently arrested and charged with assault occasioning actual bodily harm. 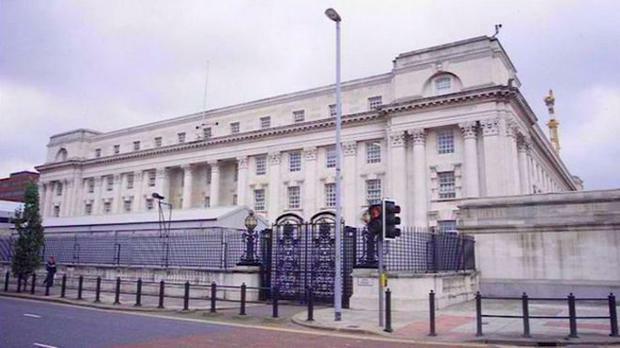 Defence barrister Declan Quinn said the man has made confessions to his partner and police. "He said the child was crying, he went to put the dummy back in her mouth and inexplicably placed both hands around either side of her head and squeezed for a few seconds," counsel submitted. "He cannot understand why he did this when she was crying." With the man described as having attention deficit hyperactivity disorder (ADHD), he is expected to rely on his mental state and impulsive actions as a defence to the charge. Mr Quinn stressed his client's "extreme remorse" over what happened. Belfast High Court was told the little girl is due to be placed with a grandmother after being looked after by social services. Opposing the man's renewed bid for bail, a Crown lawyer set out how he wanted to go back to live with his partner. "She has now been reported for the alleged offences of withholding information and child cruelty," the prosecutor disclosed. "When the mother was being interviewed yesterday (police) uncovered some further evidence by way of pictures on her phone. That phone has now been seized so it can be examined." Denying bail to the man, Judge Stephen Fowler QC indicated he would reconsider any fresh application to live at an address outside the couple's hometown.